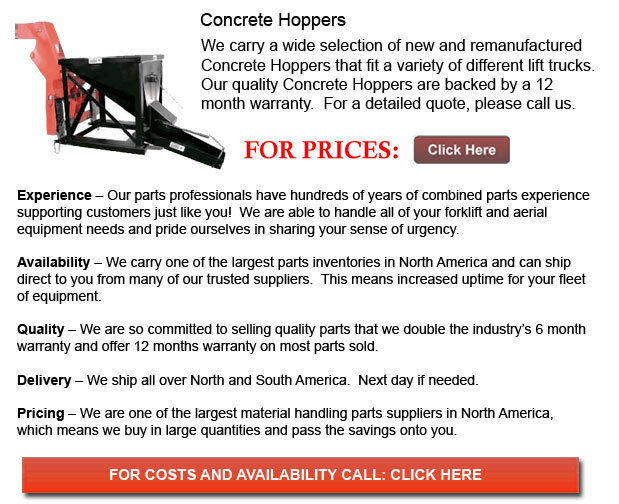 Concrete Hopper - The self-dumping hopper attachment can automatically start to both dump and release when the bumper release contacts the side of a dumpster. As soon as unloading is finished, the hopper can return to original locked and upright position. This particular piece of machinery is even offered together with a cable that enables operation from the seat of the forklift so as to have the alternative of manually dumping the hopper. There is a locking chain provided so as to lock the hopper to the fork truck. This particular product is made with reliable and consistent robotic welds for utmost strength. The forklift dumping hopper even has a blue powder coat finish to be able to maintain durability.